We understand that moving is a difficult job for most people. Whether you have a small apartment worth of personal belonging or a large family home, we’ll provide you with professional quality moving services. 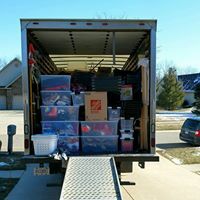 We’ll help you pack, load and unload the rental truck, and bring your belongings to the new house.